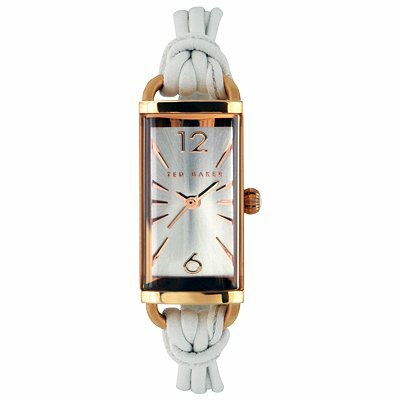 A fun take on the normal watch style, this women’s Ted Baker watch combines vintage classic elements with modern design. The gold stainless steel case provides an elegant framework for the white display white dial. The leather strap is twisted intricately to give the watch a contemporary and innovative look.